Even if you have been to the Canadian Rockies, you’ve never experienced it like this! 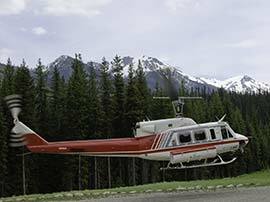 This trip combines a helicopter adventure and hiking the magnificent beauty of the Canadian Rockies. 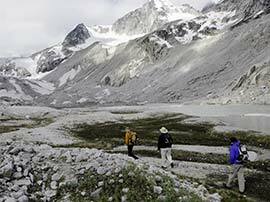 Explore some of the most magnificent scenery in the world as we hike through the Bobbie Burns Mountain Range in the Canadian Rockies. With a helicopter as our transportation, our day hikes will transport you to a little slice of heaven here on earth! With 3 days to explore the mountain peaks and a day in Banff, this is Canada like you’ve never seen it. 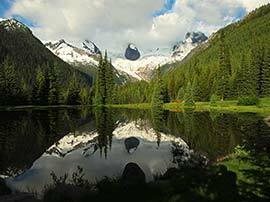 Take this once-in-a-lifetime adventure as a quick summer getaway or add it to our Canadian Rockies trip and see the Rockies in a whole new way. All this plus an active group of Jewish Singles will provide you with new friendships and memories to last a lifetime! This trip will not be escorted by an Amazing Journeys staff member, however, lodge staff, hiking guides and CMH hosts will be on-hand to take excellent care of you. Click here to see the preview video of Heli-hiking in the Canadian Rockies! Extend your experience and delve into the magnificence of the Canadian Rockies including the Calgary Stampede on our 6-night tour before heli-hiking. Click here for more details.